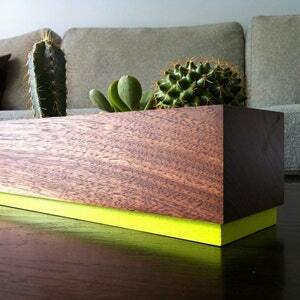 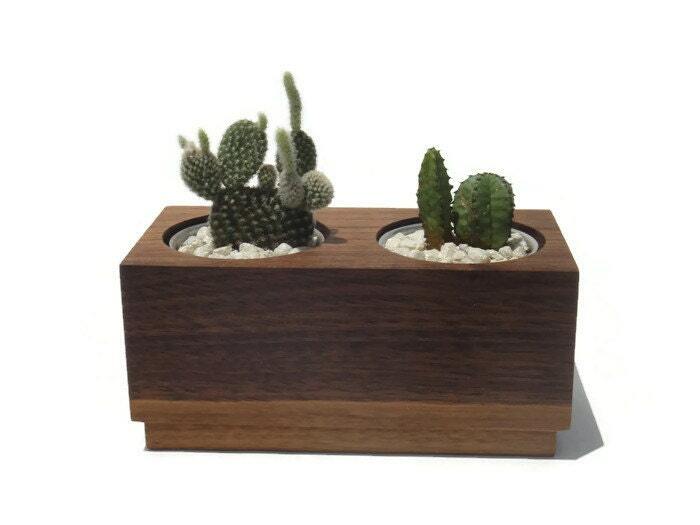 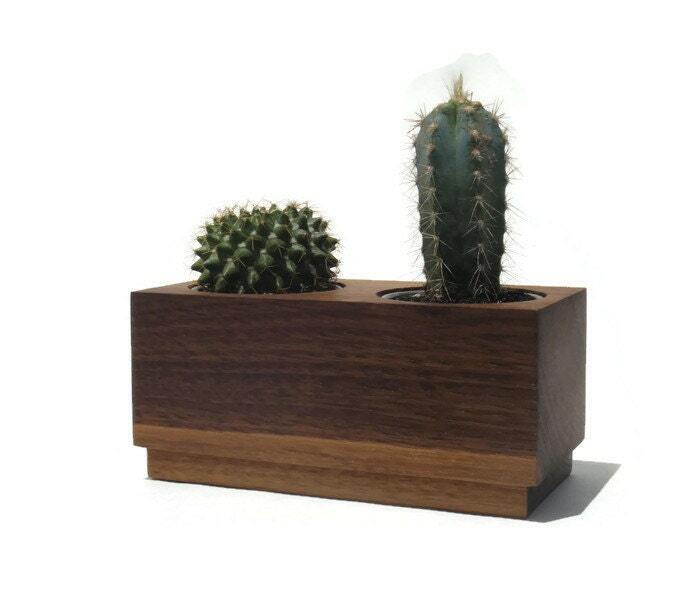 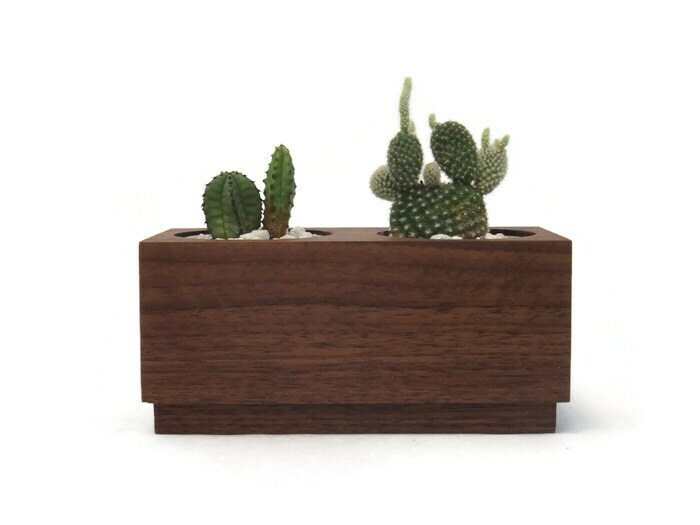 Cube double planter , made from Walnut with a natural finish. 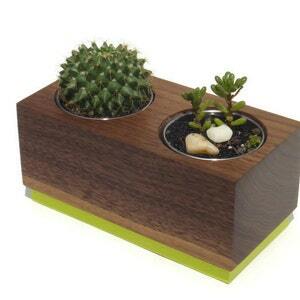 Also includes a stainless-steel insert to plant within. 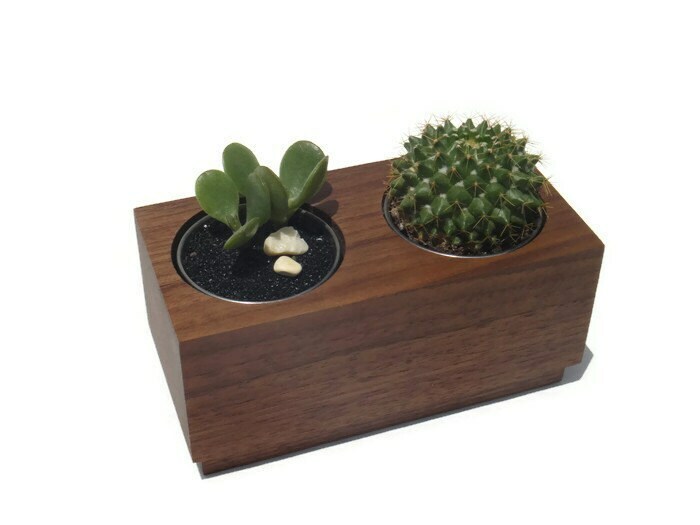 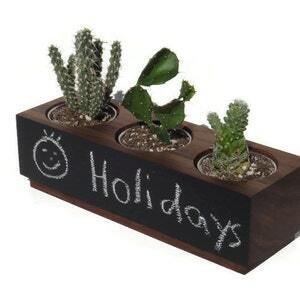 *Please do not allow water to sit on wood finish after watering. 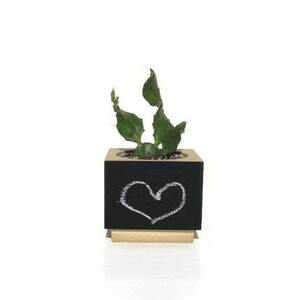 Just dry with a towel. 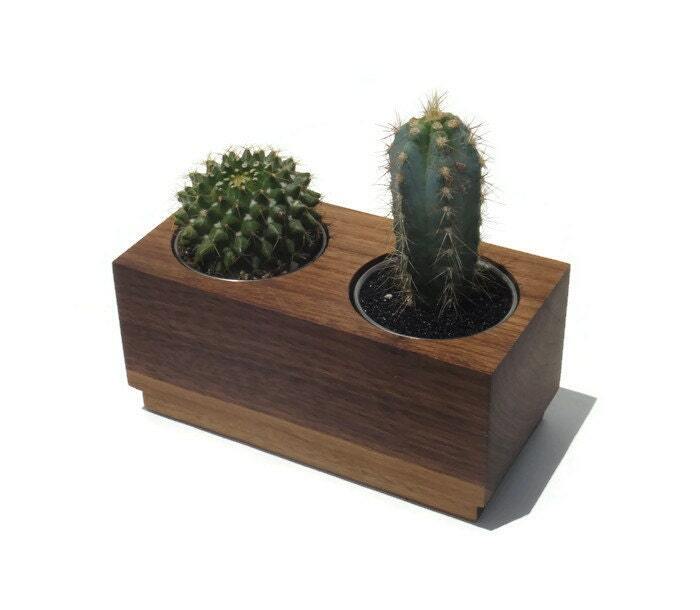 * Do not plant directly into wood hole.Plants are not included.